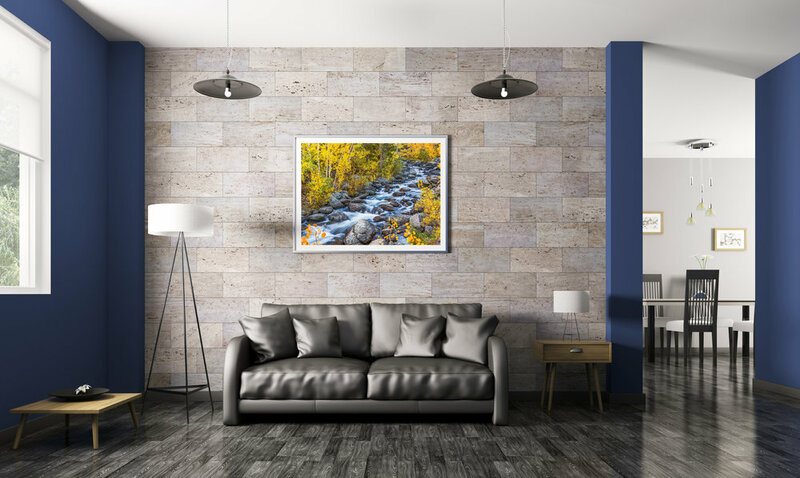 If you're unsure of the perfect size or color for your artwork simply send us a digital photo of your wall, and tell us which photos you're considering. we'll digitally "hang" your choice of artwork via the magic of our Wall Preview Tool and email your photo back to you. You'll see exactly what your redecorated room will look like with the correct fit, proportions, measurements, and colors. Take the guesswork out of buying art and feel confident in your purchase. NEED assistance WITH CHOICE AND DESIGN? We can help. During the first step in our process Bill will sit down with you to learn more about your tastes, influences, and expectations. Your space should illuminate your unique character. With Bill's help we'll search our huge library of photographs to find your perfect image. During the second stage we'll use our Wall Preview Tool to digitally insert your chosen artwork into a photo of your wall. At the end of the process you will experience the emotion of the finished product. By having clients involved in the creation we can ensure complete satisfaction. Your installation will be individually authentic and guaranteed to be you.